Writing is a form of art, but many of us writers bemoan our “artistic” skills. We paint pictures with words, not brushes! Fortunately, when book-cover-design-time rolls around, there are many online platforms to connect writers with visual artists. Writers create a “brief” describing their book and their vision for the cover. Then, writers launch a design contest. Designers submit mock-up book covers, and at the end of the contest (4-12 days), writers can either choose a winning design (for a cash award of $300-$999) or end the contest without choosing a winner (free). Recently, I ran a 99Designs contest to choose a cover for my novel, Eleanor and the Impossible. After 4 nerve-wracking days, I had received 61 designs (15 of which I considered professional quality and 4 of which I could envision as my cover). I couldn’t be more pleased with the results I got from 99Designs, but there were some bumps along the way! 1) Study existing book covers. First thing’s first: you need to figure out what you like and what your target audience likes. What colors will you use? What kind of font? Are you going for photorealism or cartoons? What are the dimensions of your book? 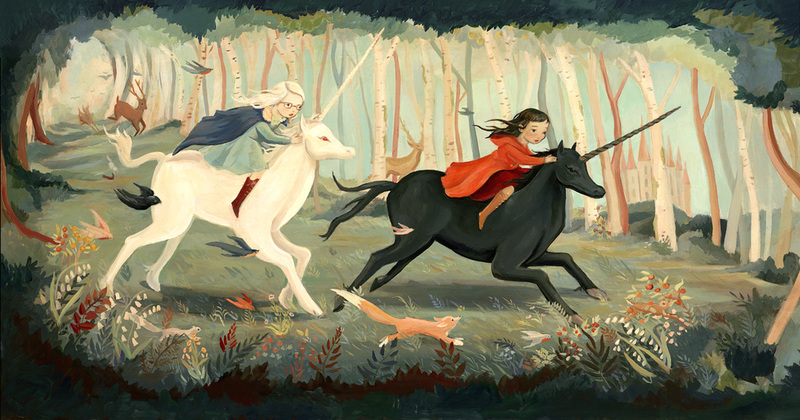 I’m in love with Emily Winfield Martin’s illustrations, so I looked to her when making decisions about Eleanor’s cover. Use existing books to guide your choices. Make sure that you are taking into consideration books that have a similar style to your book. 2) Explore all options before turning to 99Designs. Pressing 99Design’s “launch contest” button is like merging onto the interstate. Once your contest is launched, you have to move fast, and you have few opportunities to turn back. Before you launch your contest, you might want to spend a bit of time exploring side avenues. Do you have an amazing artist friend? Are you itching to try your own hand at cover design? Is the perfect image for your book already available on Clipart? I made several attempts at designing Eleanor’s cover before passing the job off to the good folk at 99Designs. 3) Craft your brief to attract the best designers. There are thousands of designers on 99Designs. Some of them are highly experienced and incredibly talented. Some of them are…not. 4) Don’t stifle your designers. You’ve spent weeks studying book covers, and you’re bursting with ideas. Maybe you’ve even done some preliminary sketches of your cover. Your mental image is so clear, there’s no way you’ll fail to get the exact book cover you want. Right? The truth is that your mental image might not be as great as you think it is. And if you overwhelm designers with your own vision, you might end up missing out on their (often superior) visions. It’s important to let designers know what mood you’re going for. And it’s okay to give them a few details that you would like to have incorporated into the cover. Just make sure you let the designers know that you welcome their visions too. You might be surprised by the designs that you fall in love with. 5) Watch out for plagiarism. The internet is rife with beautiful artwork, and for less scrupulous designers, that artwork is easy picking. When you see a design you love, take a screenshot and run a reverse google image search (by dragging and dropping the image into the google search bar) of that image. If results come up that credit the image to another artist, beware! Maria Vargas (at 99Designs) gave an extended explanation of her vision for Eleanor and summed it up by saying all her daydreams had left her very curious to read the real book! They represent your target audience (people who are attracted to your story) and thus may come up with an image that will excite other members of your target audience. They will put a little extra imagination and love into your cover. 7) Take advantage of the “poll” feature. Ultimately, the purpose of a book cover is to appeal to the masses. If you want to find out how effective a book cover is, you have to go to the masses. 99Designs provides a “poll” feature that allows you to share designs with your friends on social media. Your friends can vote on their favorite design and give feedback to tell you what they like/dislike about the design. But don’t just rely on your friends! Online writers’ forums are a great place to run polls too. 8) Prepare to feel like a jerk. You’re probably not used to having 30+ professionals clamoring to please you. And if you’re like me, a person who is shy of making requests and expressing opinions, you’re likely to experience some anxiety/guilt during your contest. A bit of guilt is probably unavoidable. You can minimize it by providing prompt, courteous, and honest feedback to your designers and by keeping in mind that they knew the parameters of the contest before they chose to enter. Still, if you can’t stomach a bit of guilt, then 99Designs might not be for you. Would you consider using 99Designs to craft your book cover? Do you know of any similar (or better) platforms? And, most importantly, do you have an all-time favorite book cover? I’m all ears! This is a really worthwhile post… So many of us enjoy the writing part of authorship, we forget the more tedious but equally important part of marketing awaits — especially with the ever-narrowing bottleneck for new writers in traditional publishing…You did a service here! Thanks KC! I couldn’t agree more. Cover design is actually the most fun I’ve had in the “marketing” arena so far–there are other chores that are even more tedious! So, very good to see your post. Unfortunately I don’t have a clue about cover design so this post is truly helpful. I love the cover with Eleanor holding a single flower. I looked through my books to find a cover I really like but I can’t get the pic into this message box. But there’s a YA novel by Jeanette Winterson: Oranges Are Not the OnLy Fruit, and I like the cover quite a bit. There’s something mesmerizing about the face of a girl staring out from the book. With yours Eleanor is looking slightly to her right, which is really effective…I don’t know why…but it works! She appears to be somewhat meditative. Are you about to publish? Let me know cause I’ll definitely purchase a copy and write a review! I googled Oranges Are Not the Only Fruit, and yes! Beautiful cover! I would definitely pick that up in a store. One of my main concerns for Eleanor’s cover was that it didn’t look too…computery (I don’t know the lingo). I wanted it to look hand-painted, and Oranges Are Not the Only Fruit definitely has that going for it. I’m planning to release Eleanor on Halloween day! I was planning on shooting you an email soon. If I could get your address, I would love to send you a signed copy. You definitely earned it with the wealth of advice you gave me as a beta reader! Thanks again. We’re headed to Japan next week and will be there for two and a half weeks. I really need to get out of Alabama…hell, out of the country. What better place, Japan! Haha! You are a trusting person! Now the whole world knows your address! (And by whole word, of course, I mean the 20 people who read this blog). Anyway, I’ll edit that part of the comment out but save your address. Hope you enjoy Japan! Can’t wait to see some more of your pictures from there! Oh, whoops. Thanks…I forgot about email. So thank you so much. Otherewise, there could be a bunch of homeless bloggers piled in my living room when we get back. Gaaaa. I can’t wait for the 31st! I found your suggestions very helpful. Thank you! It’s good to know you are blogging again.